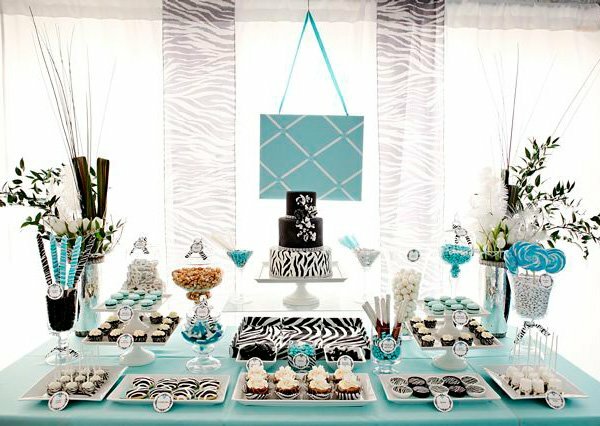 We’re loving the BOLD zebra twist that Jasmine from The Couture Cakery added to the always-classic Tiffany-blue/white color palette for this dessert table she recently styled. 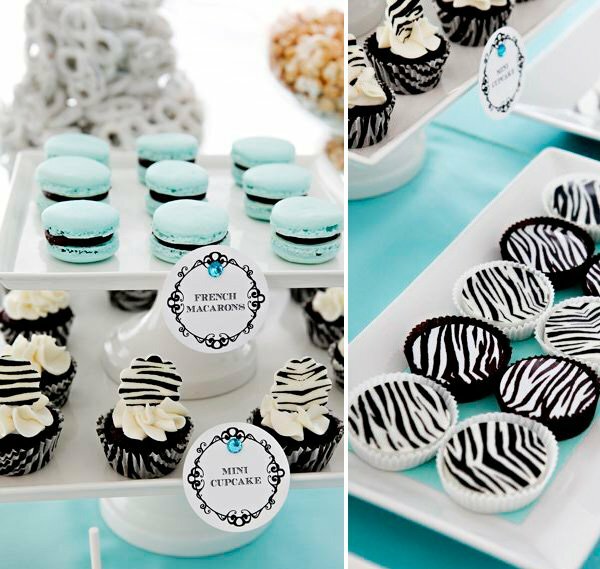 The simple, all-white serving dishes and symmetrical layout of the treats provide a nice balance to the high-contrast zebra patterns, and the result is a table that’s modern, stylish, and the perfect amount of playful! I was invited to do a dessert table for the Knot‘s tent at the I Do In Style bridal showcase. 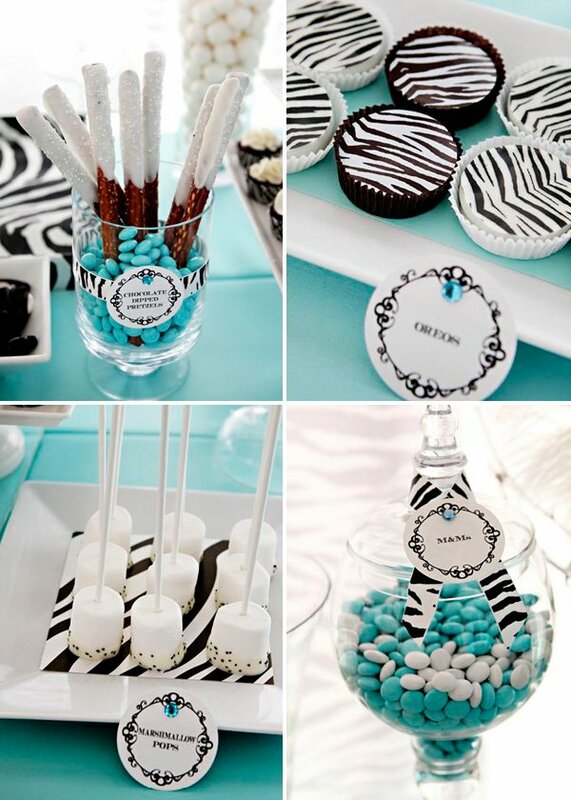 The color scheme was a Tiffany blue with black and white zebra print accents. The contrast of colors created an eye-popping display. The stunning photos were taken by the very talented Leslie Gilbert. 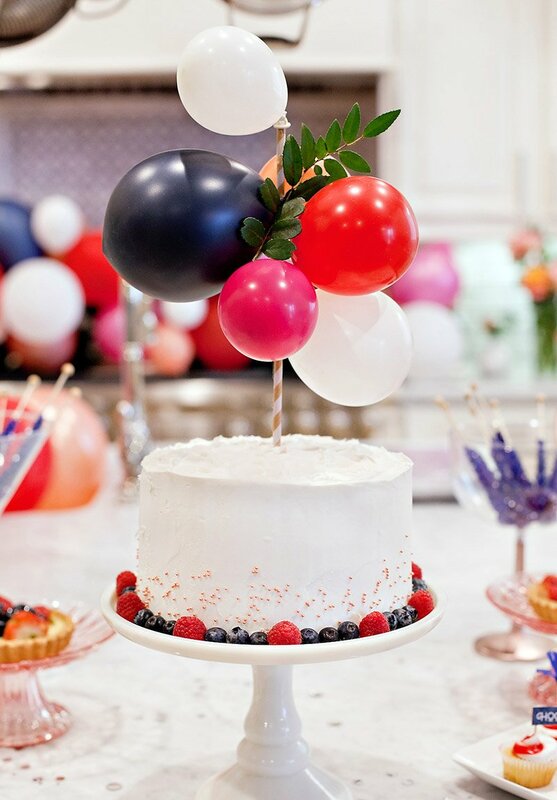 With the zebra print cake being the focal point of the table I added some ribbon rosettes that I made since ribbon is a big trend in party decor right now. Rhinestone banding on the base of each tier and disco dust sprinkled on the cake added just a touch of bling. WOW! Jasmine, gorgeous… You are on a roll girls!!!! LOVE animal print + pops of color. This is a great twist on the Tiffany blue. Love this fun color combo! This is gorgeous ,love the color combo!! 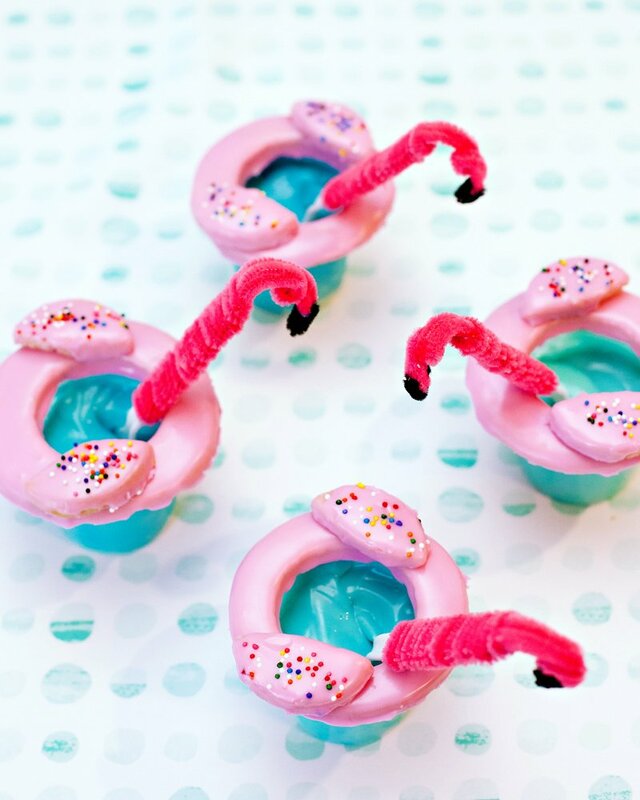 Amazing…but not suprising, as everything on this blog is always amazing! 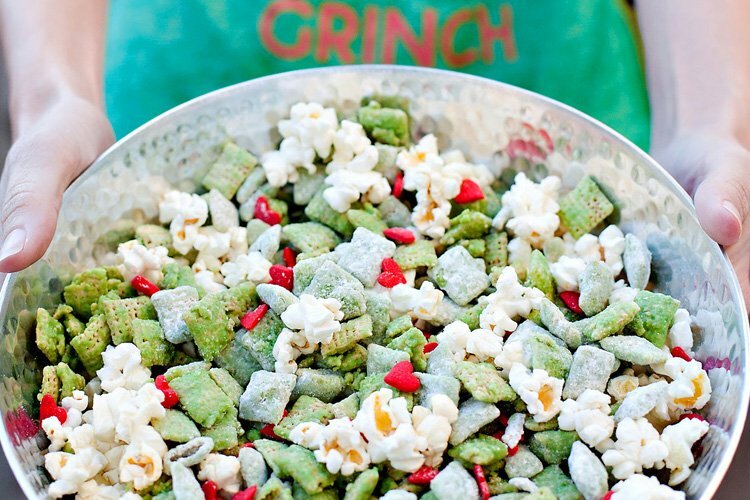 Now THIS is amazing! Reading the subject line, I was expecting a, well, disaster. But this was so tastefully done! Thanks so much for passing along. I am doing a graduation party in this theme. Your desert table is fabulous! I really Love the color Theme. 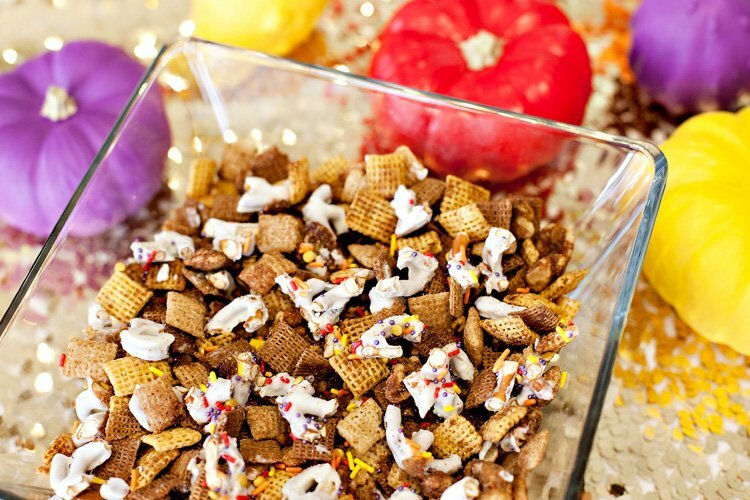 I showed my daughter pictures of your sweet buffet and she fell in love with it! 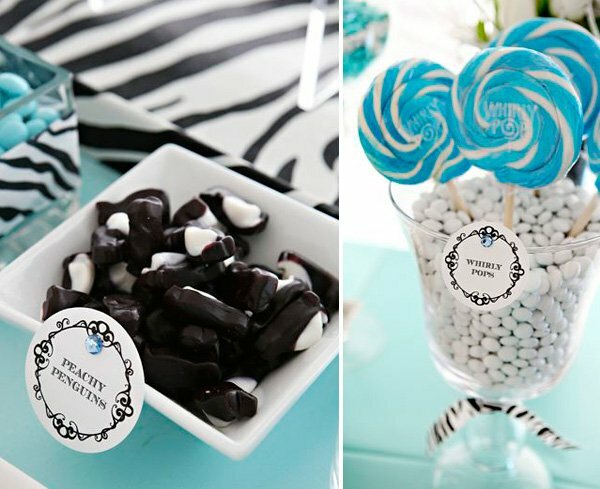 I have zebra print in my wedding combo, along with lime green!! I love this idea!! 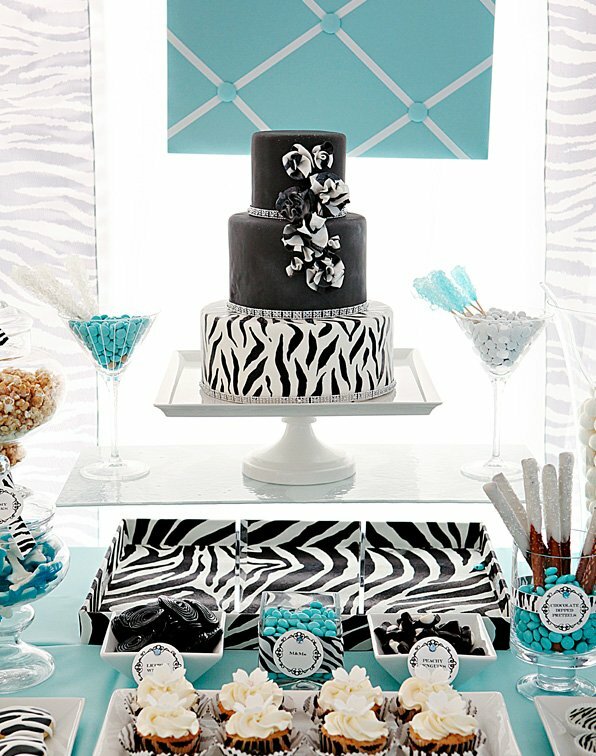 Can u tell me where you bought the square zebra print dishes that are placed infront of the cake. Would be very helpful. 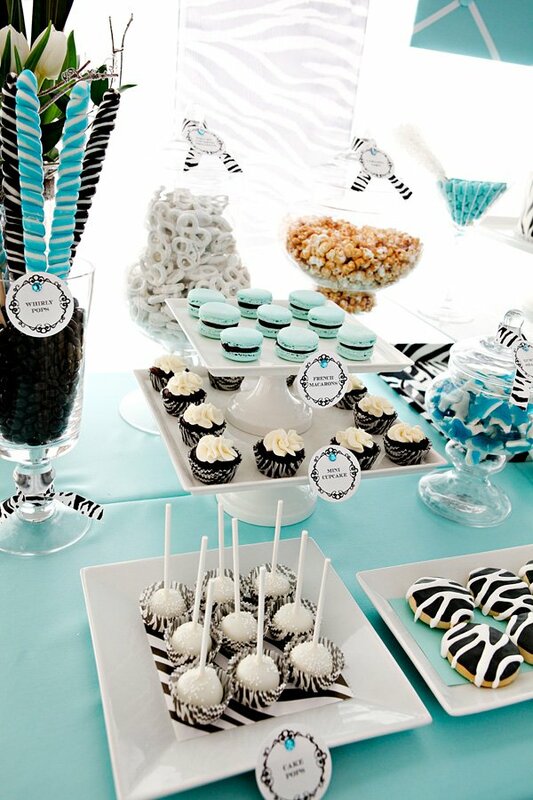 Such a chic dessert table!! 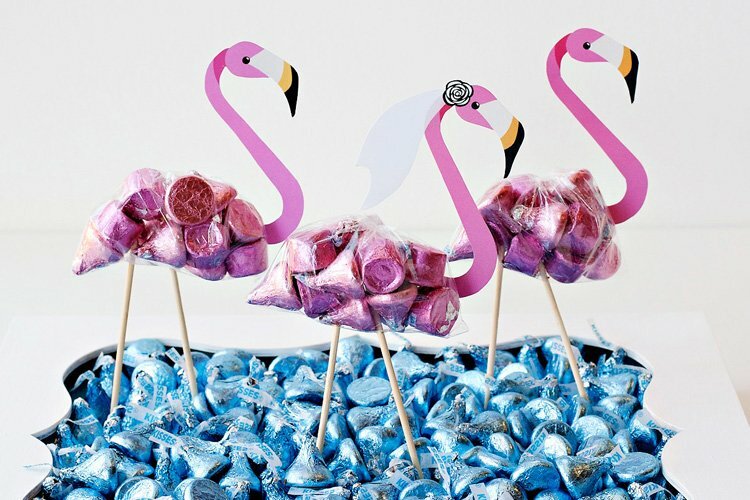 A friend and I are using this as an inspiration for a baby shower. Quick question: where did you guys get those beautiful labels?